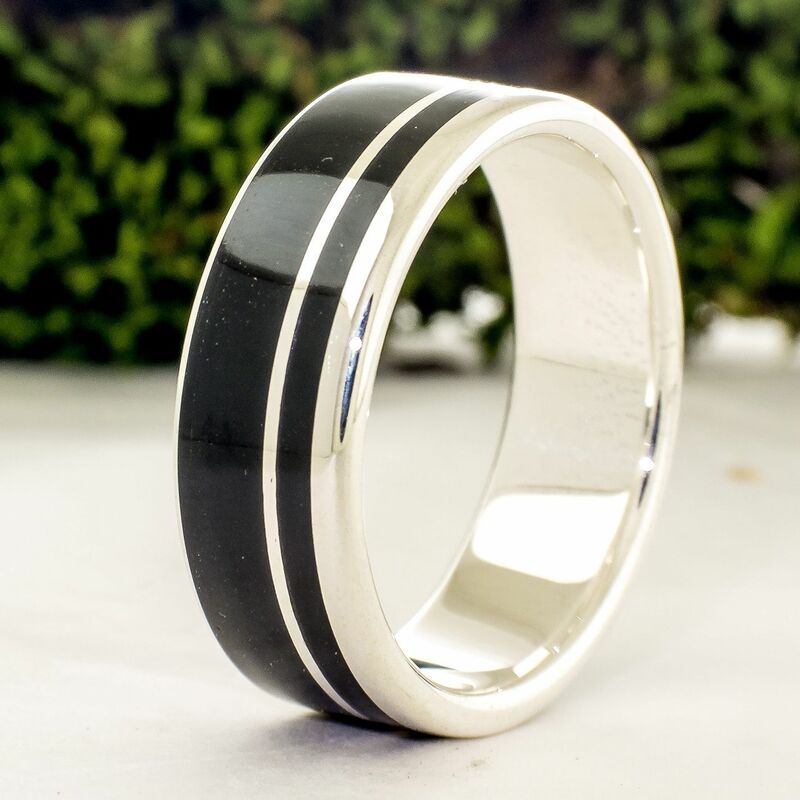 Ring made from a band of sterling silver and a piece of ebony wood. Once cut, the wood is treated with natural resins in a vacuum chamber, which results in a waterproof product and dirt resistent. It looks so beautiful! Perfect for my future husband! We also got a Sapphire stone added in and it turned out great. Alfredo stayed in contact and notified us of a delay and got the ring to us with time to spare for the wedding. Thank you so much! Would highly recommend!